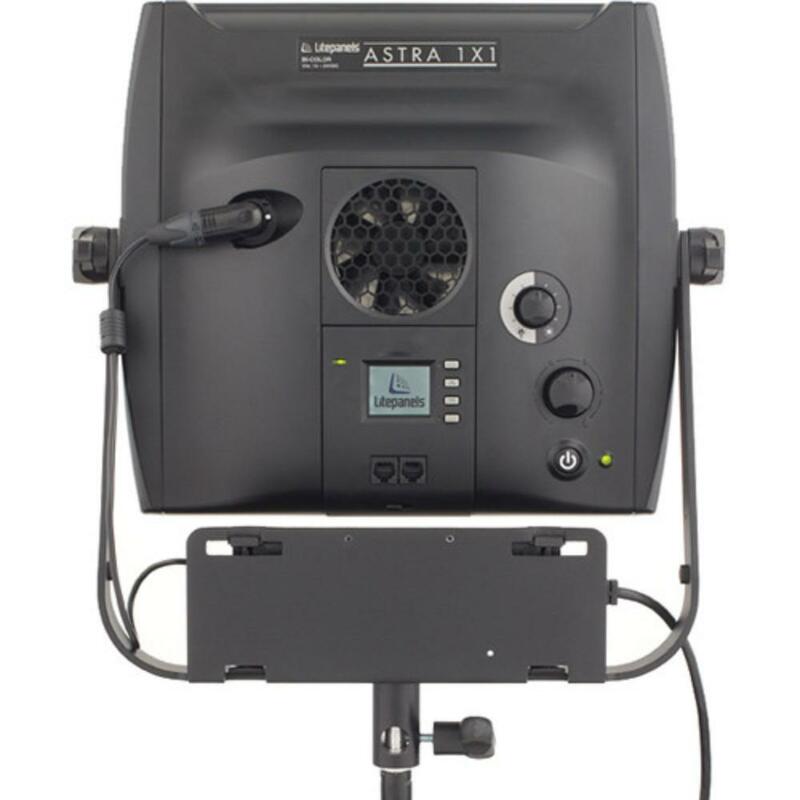 The Litepanels Astra 1x1 Bi-Color LED Panel is a variable tungsten-to-daylight temperature, dimmable continuous light that gives you the option to run the fan or turn it off for quiet scenes. This light features a generous 72º beam with flicker-free performance at all shutter speeds/frame rates. 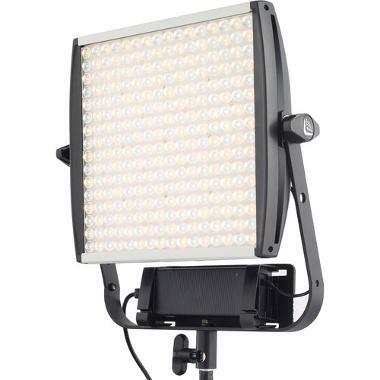 At only 5.3" deep, this light is svelte enough for any set and is ideal for videography, interviews, documentary work, and for still photography when low-heat lighting is required. • This light does not include a light stand. • Please note that this light draws approximately 100W, which will narrow your portable power options. D-Tap/P-Tap will provide only partial power so to get full power, AC power is recommended. 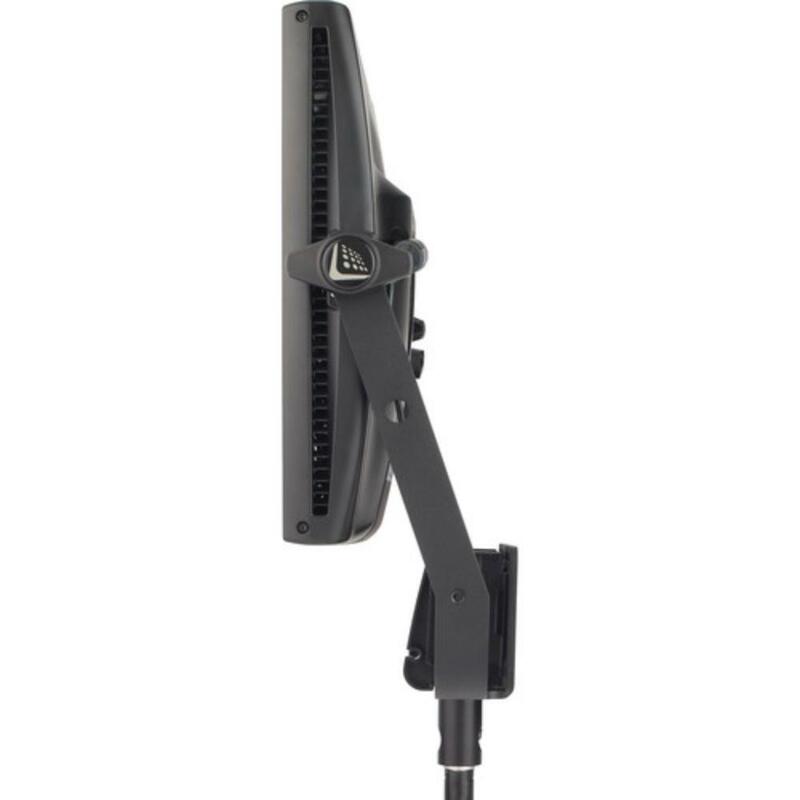 If you want to experiment (at your own risk) with portable power, you will need a D-Tap/P-Tap to 3-Pin XLR battery bracket, which is not included. • If your Astra isn't delivering full power, ensure that the fan is turned on. It is required for full power.